Universal Vacation Club International (UVCI) is not a scam. 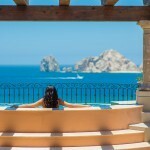 The vacation club is a mutual benefit company that manages the resorts of The Villagroup in Mexico, namely Villa del Palmar resorts in Cabo San Lucas, Puerto Vallarta, Loreto, Nuevo Vallarta and Cancun. As opposed to being a scam, UVCI helps to facilitate exchanges that Villa del Palmar timeshare owners wish to make between Villagroup resorts in Mexico. Like any vacation club, UVCI will add your timeshare unit to its repertoire and allow you the chance to use a similar unit in another of their resorts. UVCI also has links with Interval International for exchanges to destinations outside of Mexico. There is no scam involved in becoming a member of Universal Vacation Club International, it is an optional service that you can use to exchange your timeshare unit. Both new timeshare buyers and existing Villa del Palmar owners are also offered the benefits of joining Villa Preferred Access, which calculates a points value for your timeshare property. The UVCI points system makes it easier to swap your timeshare for other destinations and makes it possible to split your timeshare week for two shorter vacations in two different locations. There is no scam locked into the contract and the scheme is intended to make Villagroup timeshare exchanges all the more flexible. So, the simple answer to “is UVCI a scam?” is NO! In fact, it offers many benefits to its members and is a means of enhancing your timeshare experience rather than causing inconvenience and unnecessary costs. Share the post "Is UVCI a Scam?"